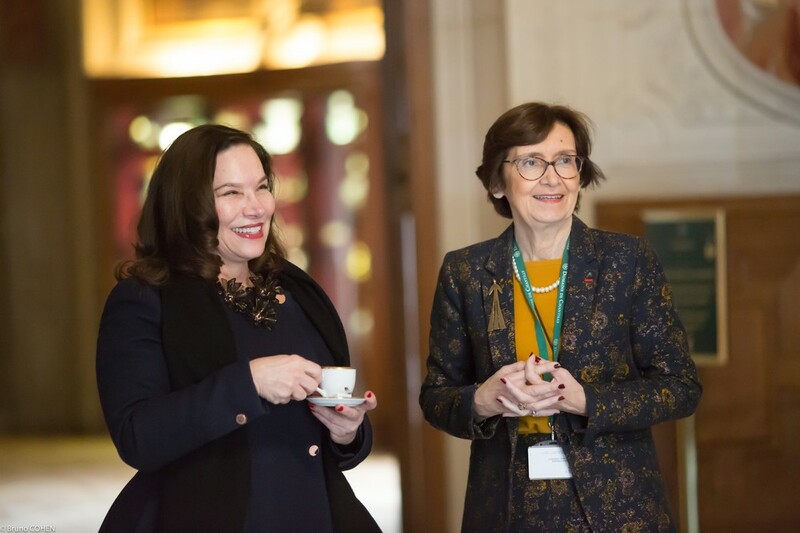 On Monday, March 19, Friends of the Domaine de Chantilly (FODC) organized an exclusive private visit at the Château de Chantilly, allowing guests the singular opportunity to tour the current “Rembrandt au Musée Condé” exhibition in the Gallery of Prints and Drawings and to view treasures from the Duke d’Aumale’s collection not on view to the public. 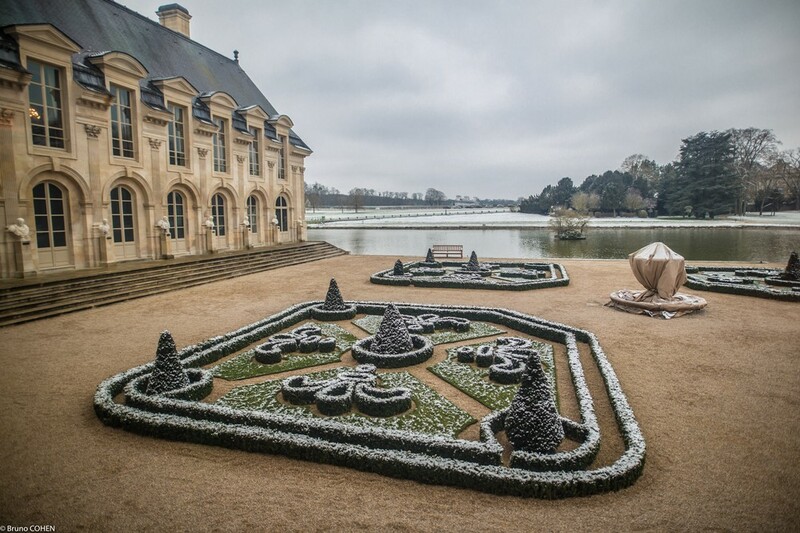 There was a light dusting of snow on the Château grounds, lending a touch of enchantment to the day’s proceedings. 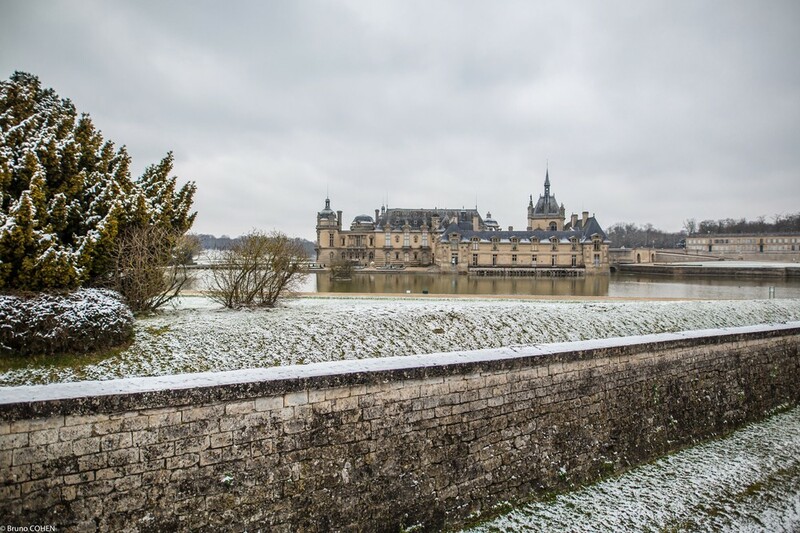 Château de Chantilly greeting its visitors under a dusting of snow. The Gallery of Prints and Drawings overlooking the Jardin de la Volière. 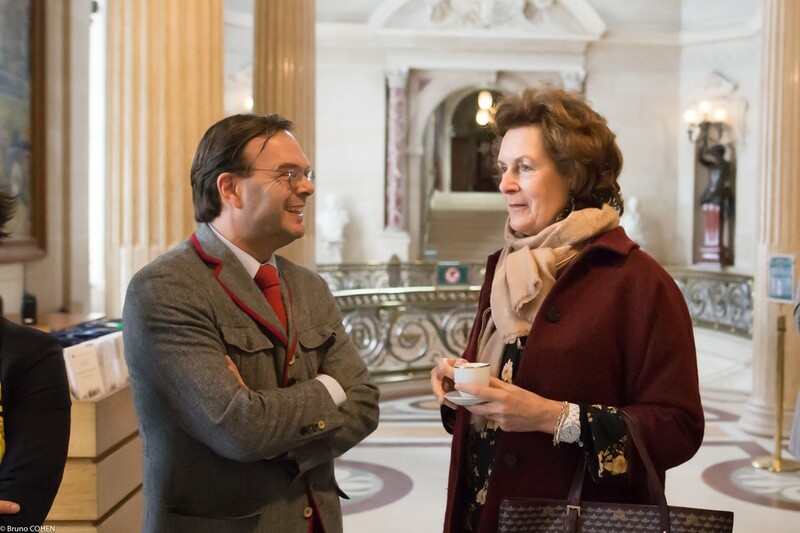 Guests arrived in the Hall of Honor to find some much needed coffee to warm them up from the cold and were greeted by Prince Amyn Aga Khan, FODC Chairman, General Jérôme Millet of the Institut de France, and Chantilly’s curators Nicole Garnier, Laurent Ferri, and Mathieu Deldicque. 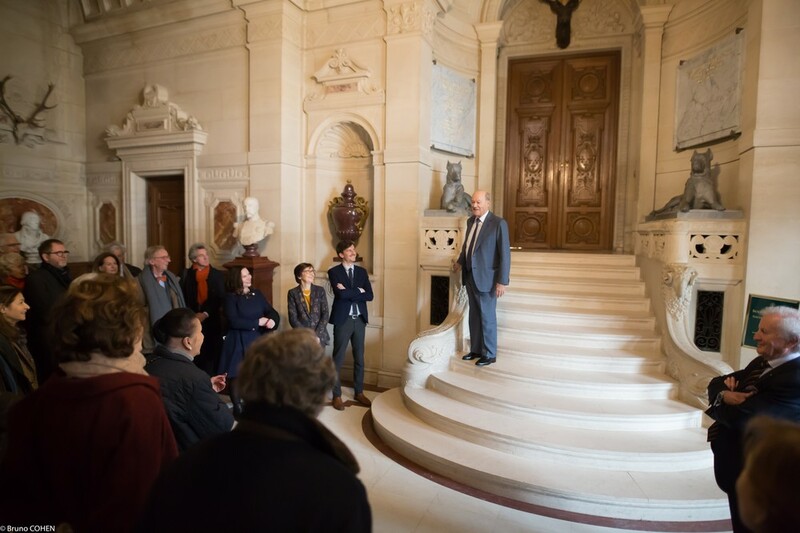 Before the visit, Prince Amyn thanked everyone for braving the chilly weather and for taking the time to come to Chantilly, announcing the exciting programming of exhibitions and making a note of the new exhibit in Chantilly’s library entitled “America! The House of Orléans and the United States (1778-1895)” now on view. 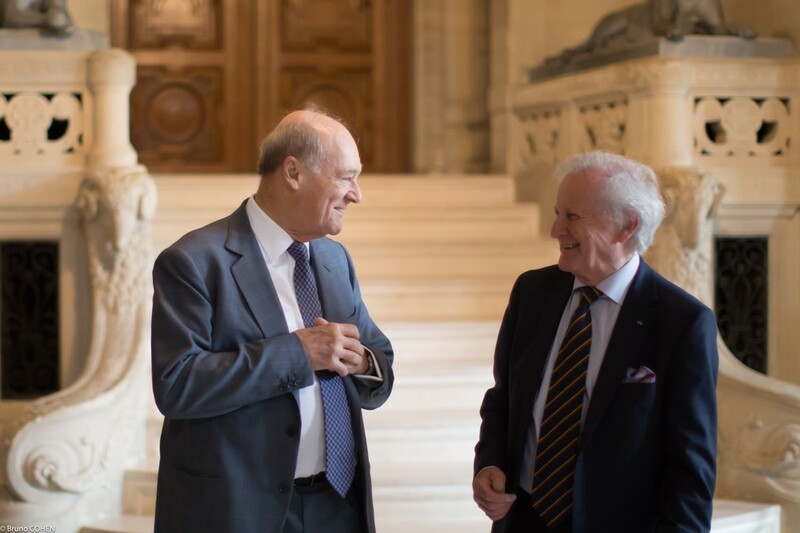 Prince Amyn Aga Khan, Chairman of the Board of FODC, and Luis Monreal, President of the Board of FODC. Natalie de Montille and General Jérôme Millet. Susan Kendall and Chantilly curator Nicole Garnier. 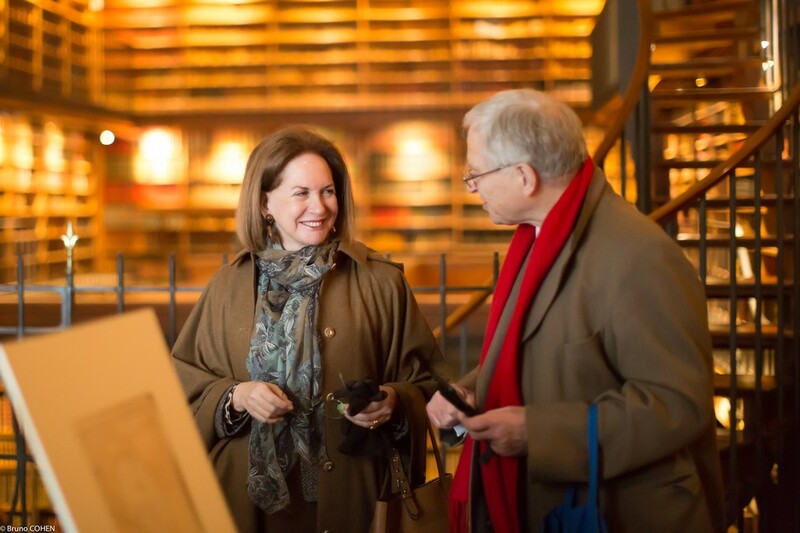 Curator Laurent Ferri chats with FODC Board Member Nathalie Brunel. 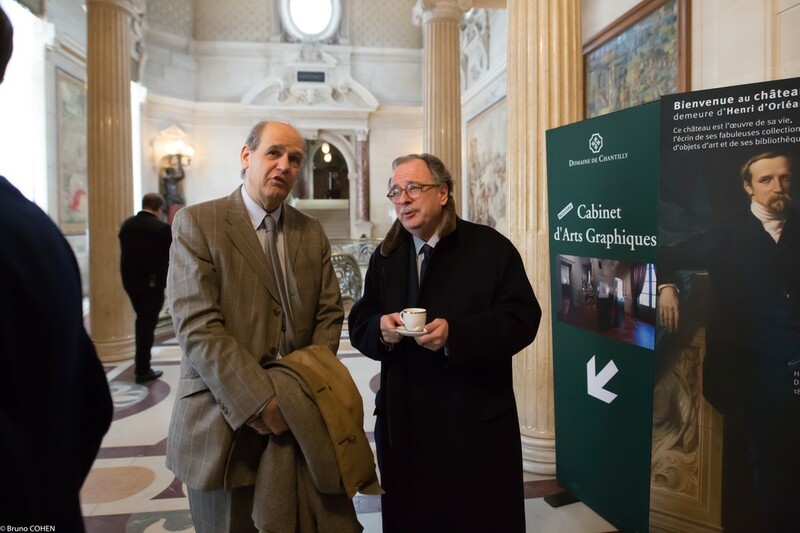 Gilles Andréani and Louis-Antoine Prat waiting for the visit to begin. 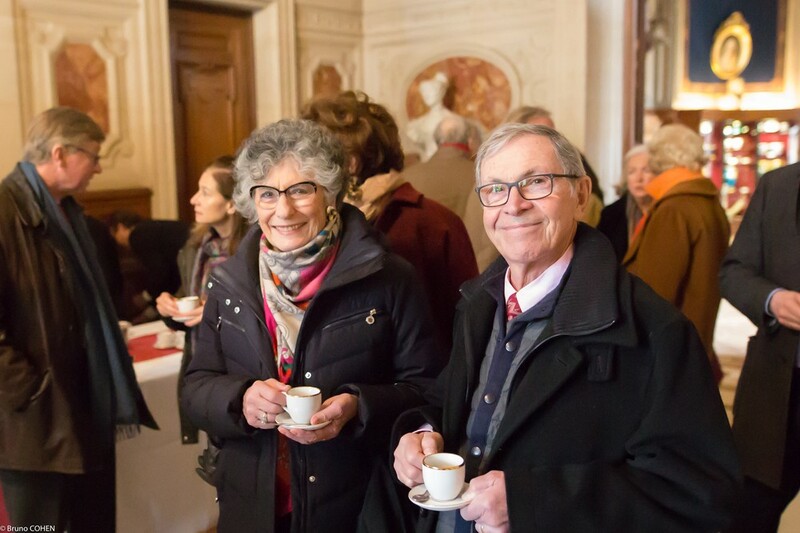 Arlene and Arthur Elkind enjoying the welcome coffee. 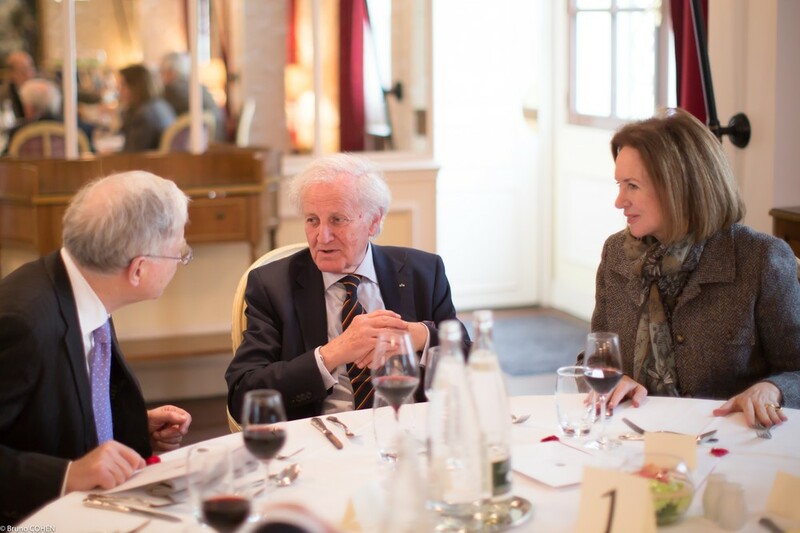 Prince Amyn Aga Khan welcoming guests to Chantilly. Guests then made their way downstairs towards the Gallery of Prints and Drawings. 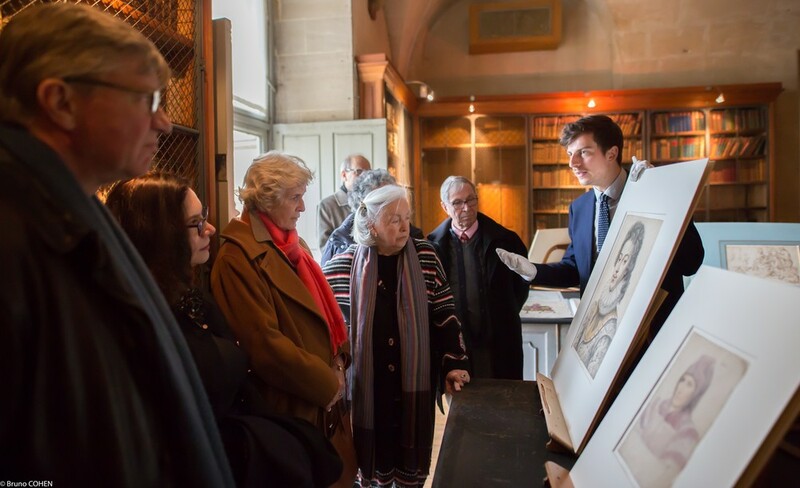 This new exhibition space, which used to house the guest rooms of the Duke d’Aumale, opened in March 2017 and now hosts two to three exhibitions a year showcasing the impressive collections of master drawings at Chantilly. FODC was delighted to provide funding for the creation of this gallery and to continue its support of drawings related initiatives in 2018. 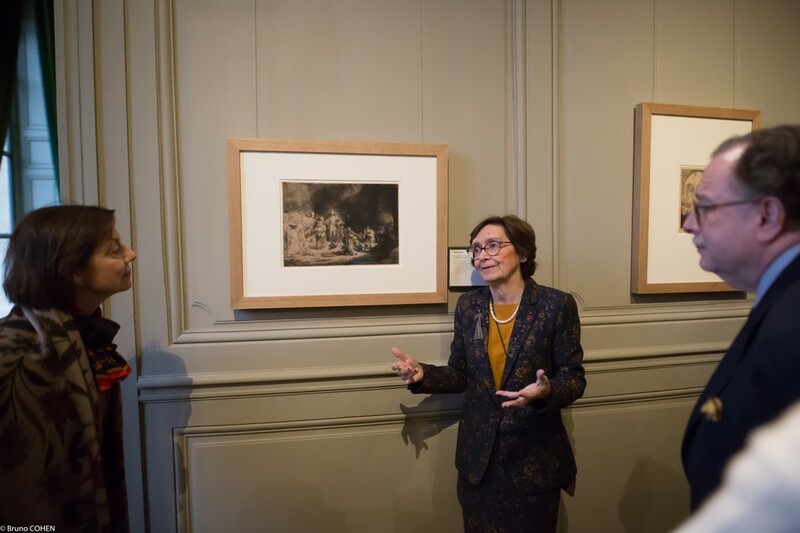 The current exhibition on view is the fascinating “Rembrandt au Musée Condé.” Nicole Garnier, who curated the show, was on hand to show guests the twenty two Rembrandt engravings comprising the exhibition which until now had never been displayed to the public. 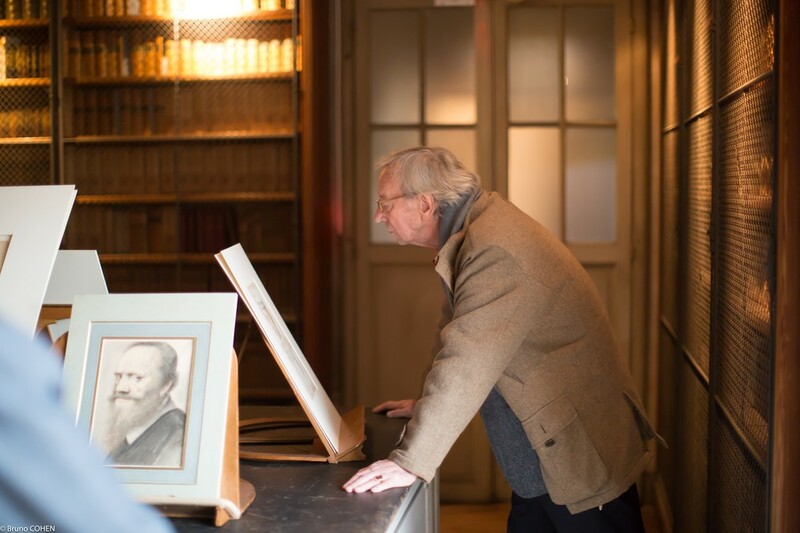 The collection is considered to be one of the largest and best preserved ensembles of Rembrandt engravings in France. 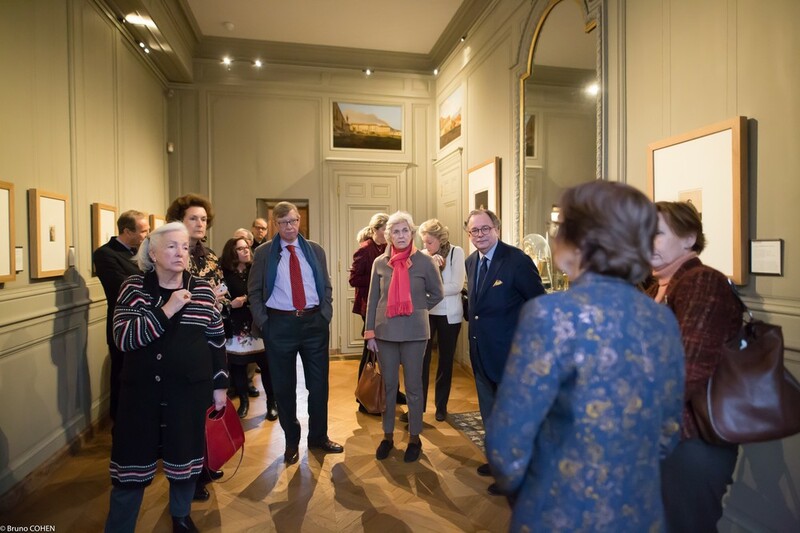 Nicole Garnier leading guests around the Rembrandt exhibition. 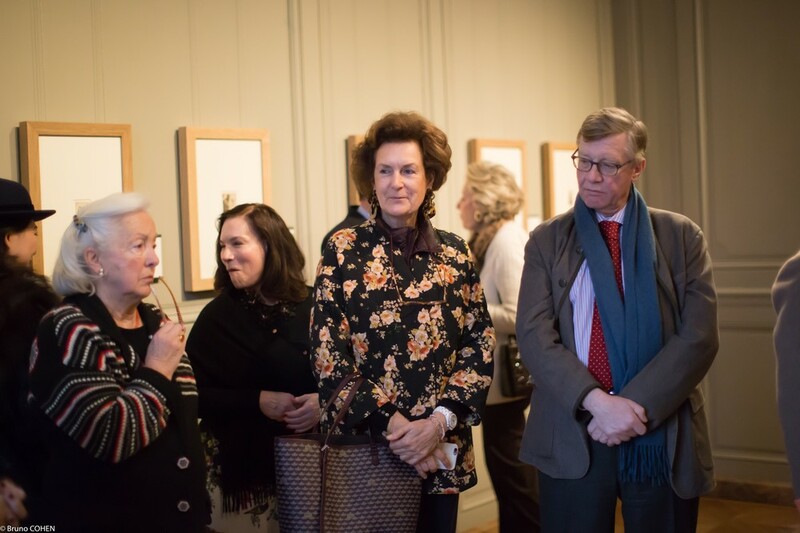 L-R: Thérèse de Bayser, Susan Kendall, Nathalie Brunel, and Ludovic de Montille taking in the Rembrandt exhibition. 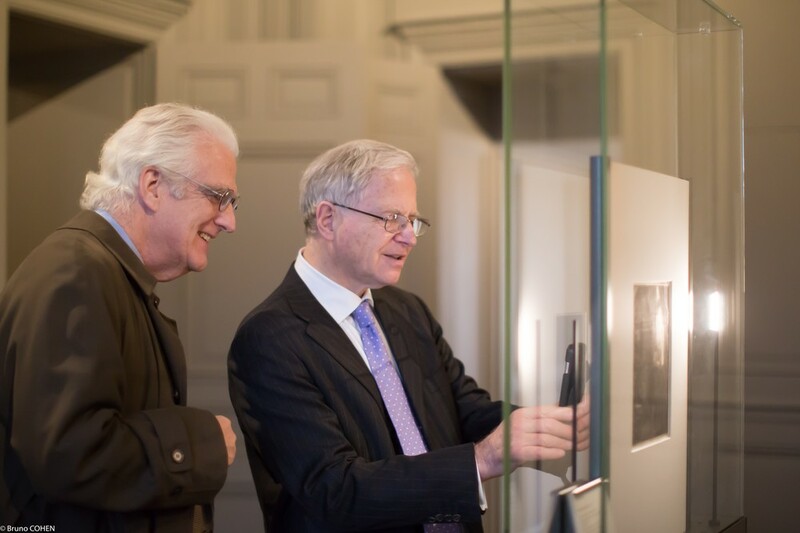 Alexander Johnson and Hinrich Sieveking at the Rembrandt exhibition. 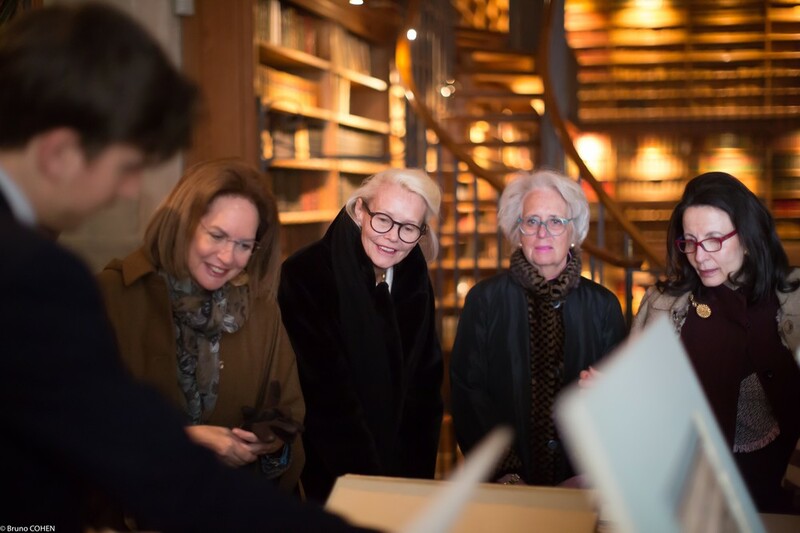 Guests were able to admire stunning master drawings from the Duke d’Aumale’s collection in the Duke’s stately personal library that is closed to the public. Chantilly curator Mathieu Deldicque carefully selected drawings by Raphael, Jacques de Bellange, François and Jean Clouet, Albrecht Dürer, Carmontelle, and Pierre Paul Prud’hon (among others) for the special viewing and was available to explain to guests the significance and history of each work. The Duke’s drawings collection spans from the Renaissance to the nineteenth century and includes some of the most acclaimed works by Jacques Bellange and Clouet. 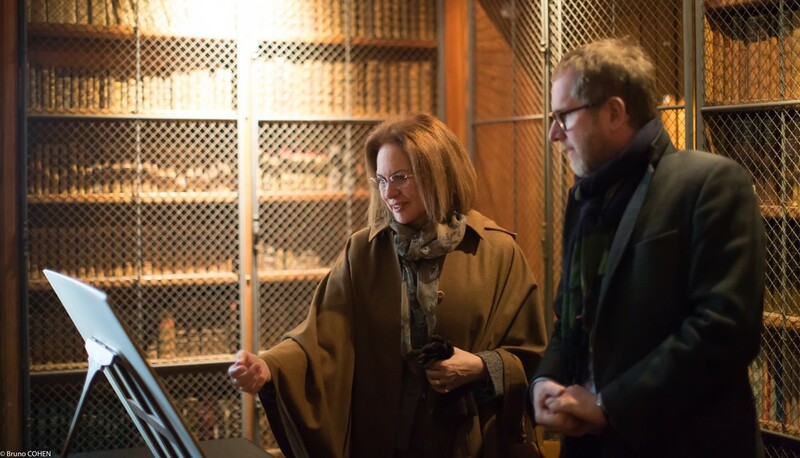 Curator Mathieu Deldicque shows a drawing to Nicolas Joly and Duchess Sophie de Wurttemberg. 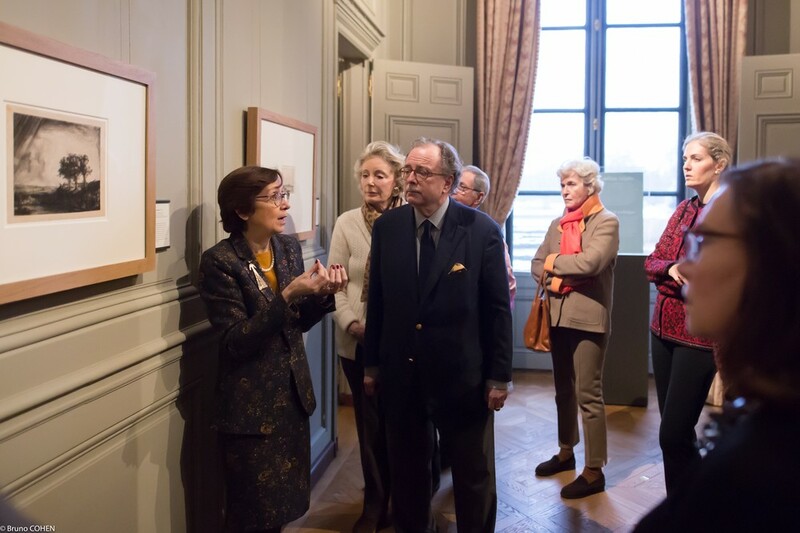 Alice Goldet and Eric Gillis admiring a selected master drawing by Prud’hon. 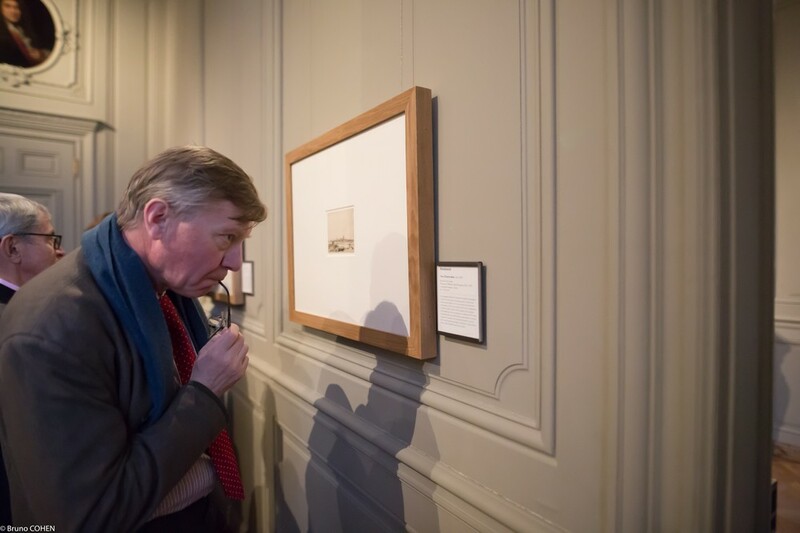 Bruno de Bayser enjoying one of the master drawings on view. Alice Goldet, Christine Koenigs, Suzanne McCullagh, and Cristiana Romalli listen to curator Mathieu Deldicque. 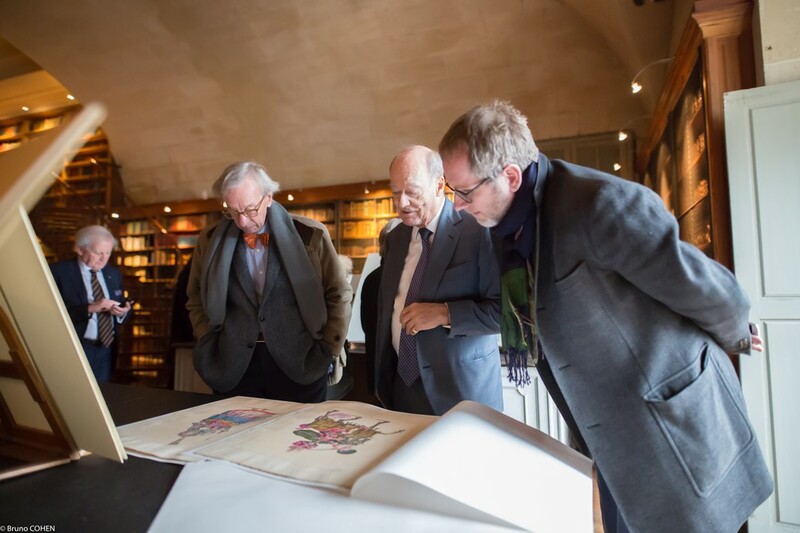 Bruno de Bayser, Prince Amyn Aga Khan, and Eric Gillis admiring the Bellange drawings on display. 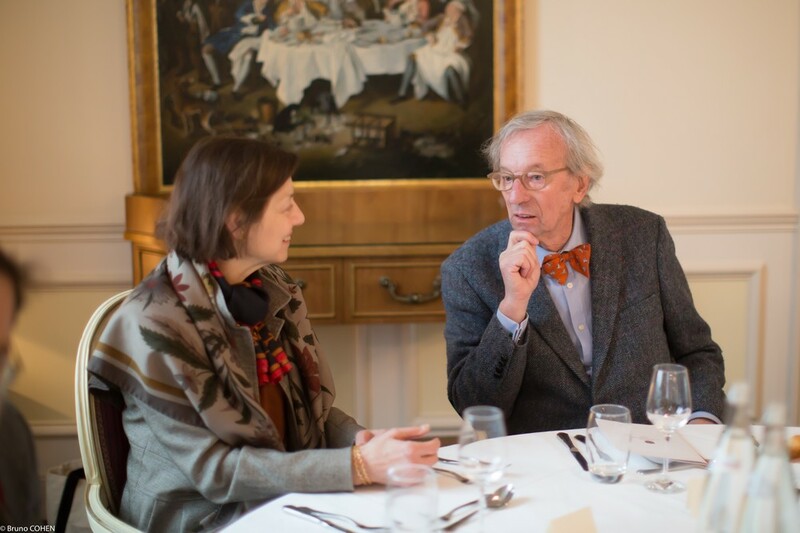 Alice Goldet, FODC Board member, and Hinrich Sieveking discussing the works of art. 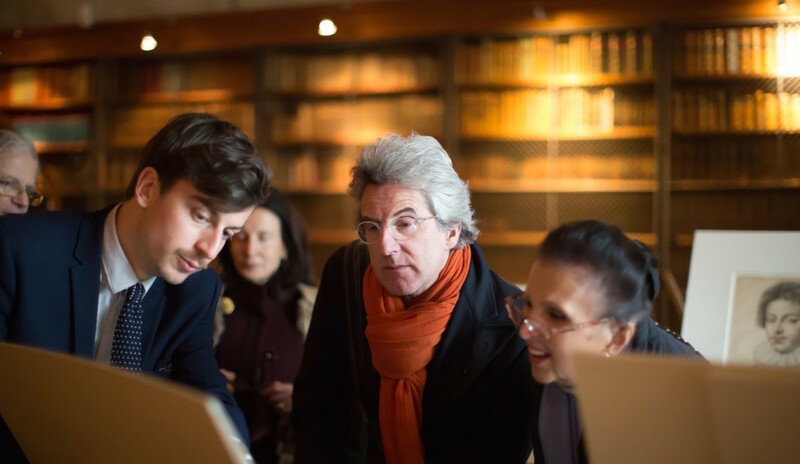 Mathieu Deldicque, Nathalie Brunel, Ludovic de Montille, and Susan Kendall discussing a drawing. 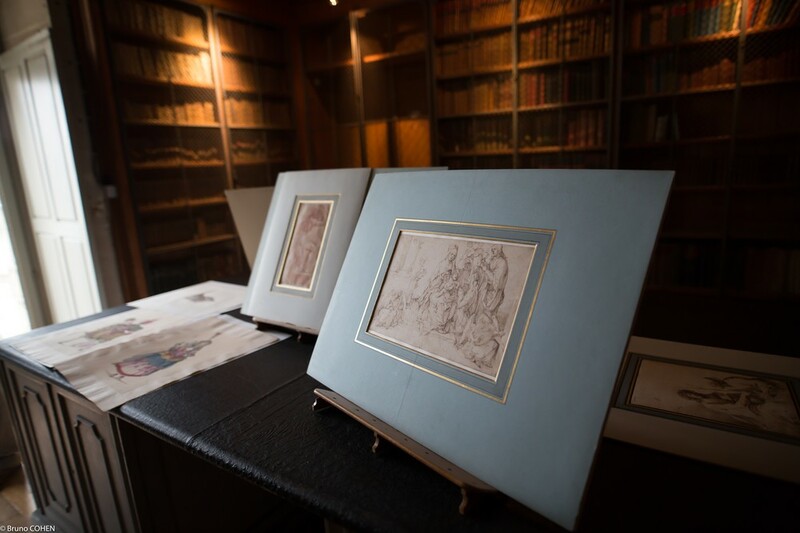 Some of the drawings guests were able to enjoy by Bellange, Raphael, and Dürer. 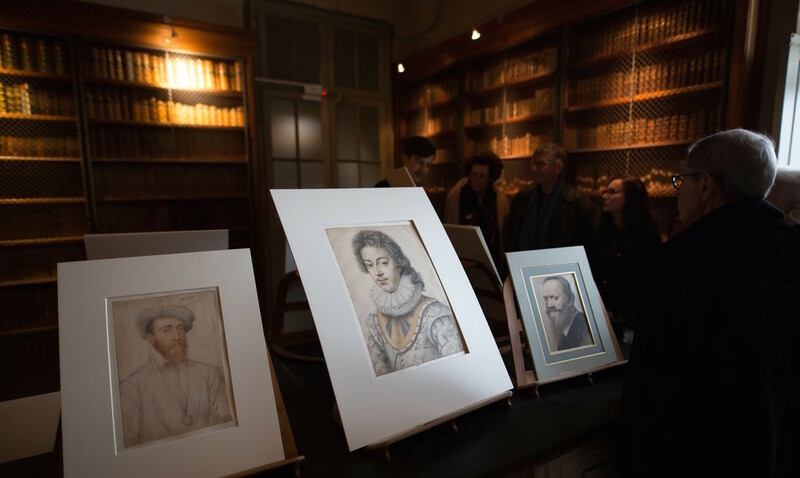 Beautiful Renaissance portraits by Jean and François Clouet were also selected for the visit. 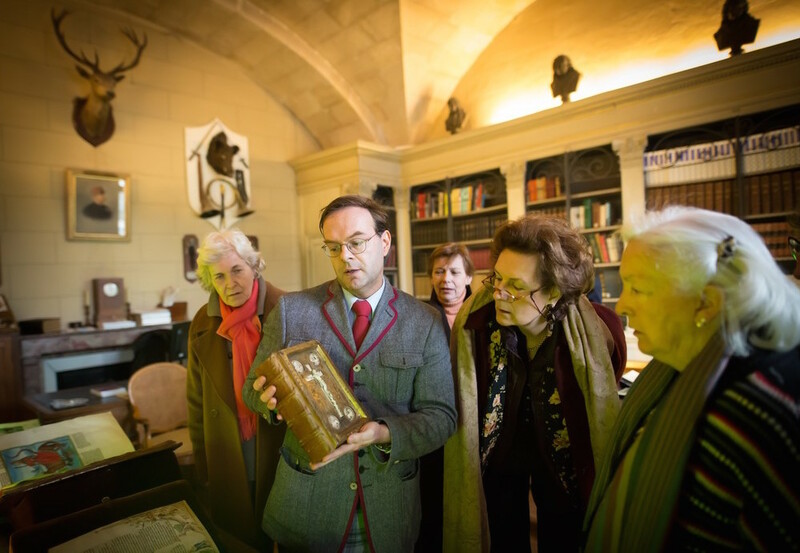 Ludovic de Montille, Susan Kendall, Irène Chardon, Thérèse de Bayser, and Arthur Elkind with curator Mathieu Deldicque. 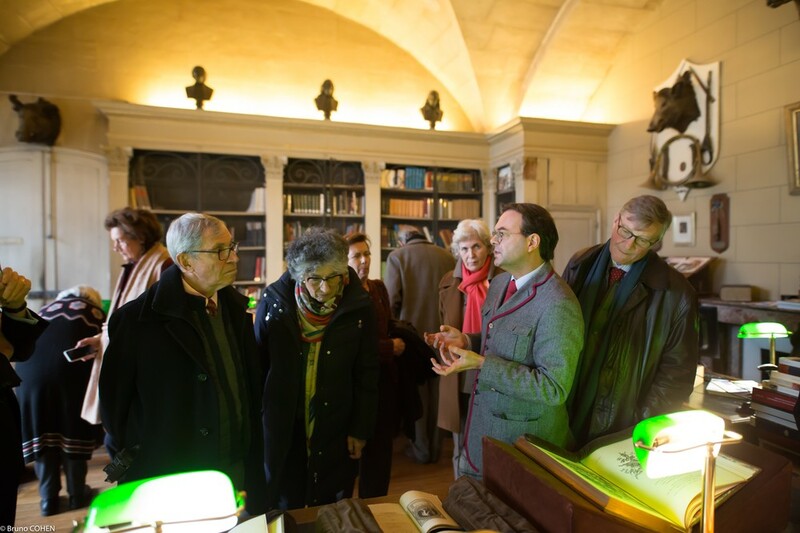 Also exceptionally on view today were splendid literary treasures from the Duke d’Aumale’s library that were selected by curator Laurent Ferri. 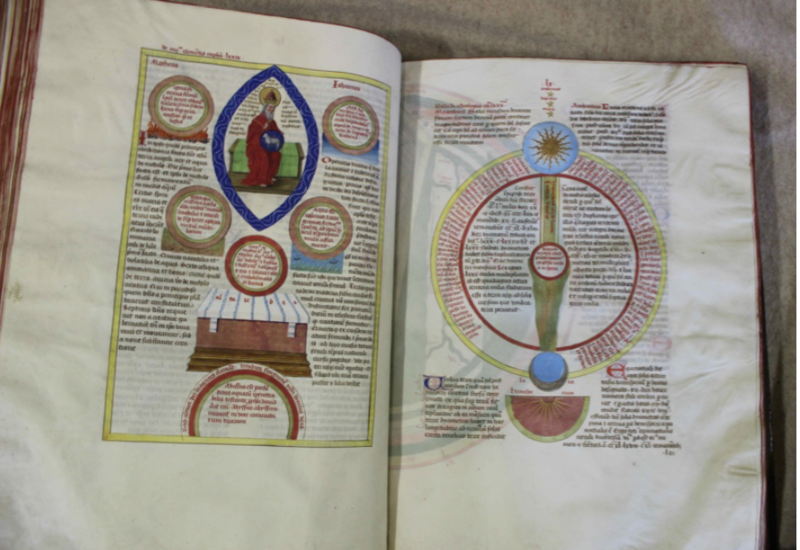 Among the rare books and of particular note was encyclopedia the Liber Floridus (dating from the fifteenth century). Due to its fragile state, this masterpiece had not been displayed to the public for many years but through the generosity of FODC donor Mark Pigott KBE KStJ, it was recently restored and was showcased for the first time during the visit. 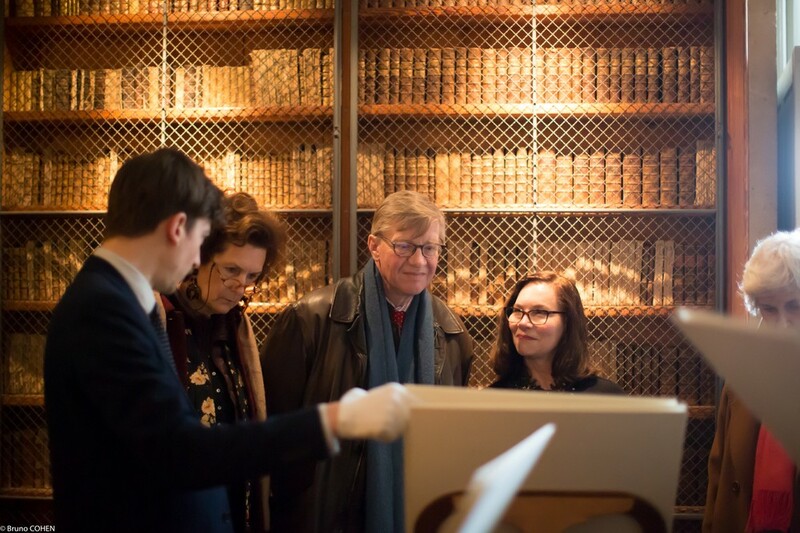 Other works that were brought out for guests to look at included Cantica del Inferno de Dante (dating from the fourteenth century from Italy), Les épaves de Baudelaire (late nineteenth century from France), and Quatuor Evangelia (beginning of the twelfth century from Germany). Arthur and Arlene Elkind, Natalie de Montille, Irène Chardon, Laurent Ferri, Ludovic de Montille. 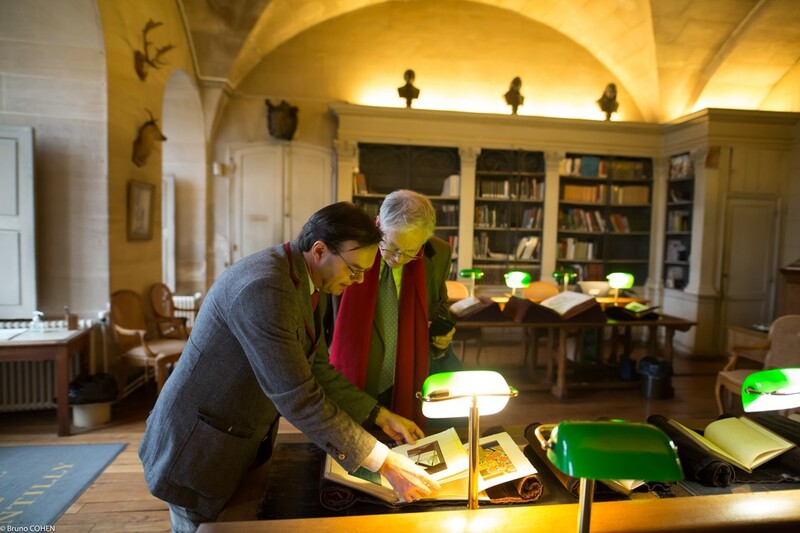 Laurent Ferri with Hinrich Sieveking looking through some of the Duke d’Aumale’s literary treasures. 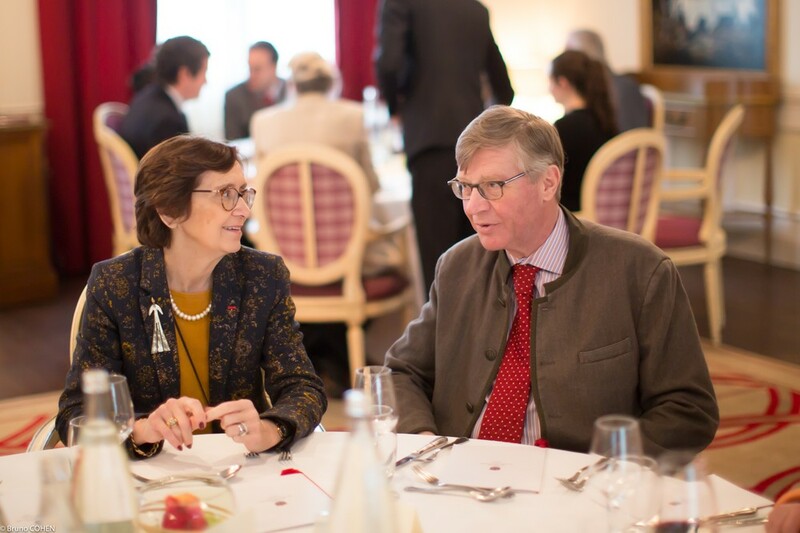 After the tour and viewings, guests then made their way to the nearby Auberge du Jeu de Paume on the premises of Chantilly for a delicious lunch catered by the restaurant La Table du Connétable, giving them a chance to relax and discuss the visit. FODC would like to thank everyone for coming out to Chantilly despite the cold weather and for making the visit such a great success! 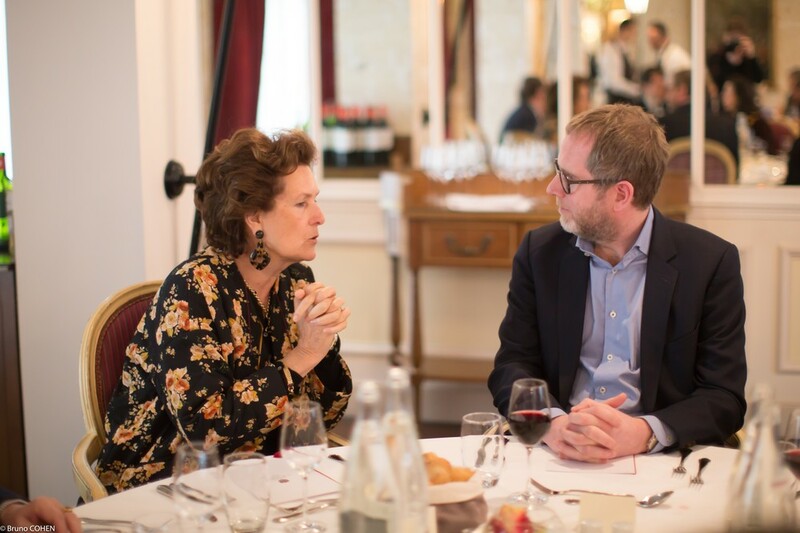 Betty Eveillard and Bruno de Bayser discuss the day’s visit. 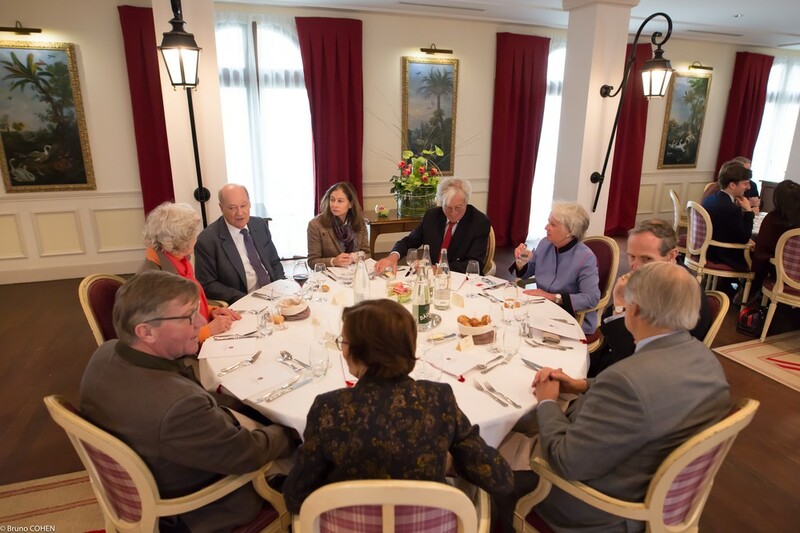 Guests at the Auberge du Jeu de Paume for lunch. 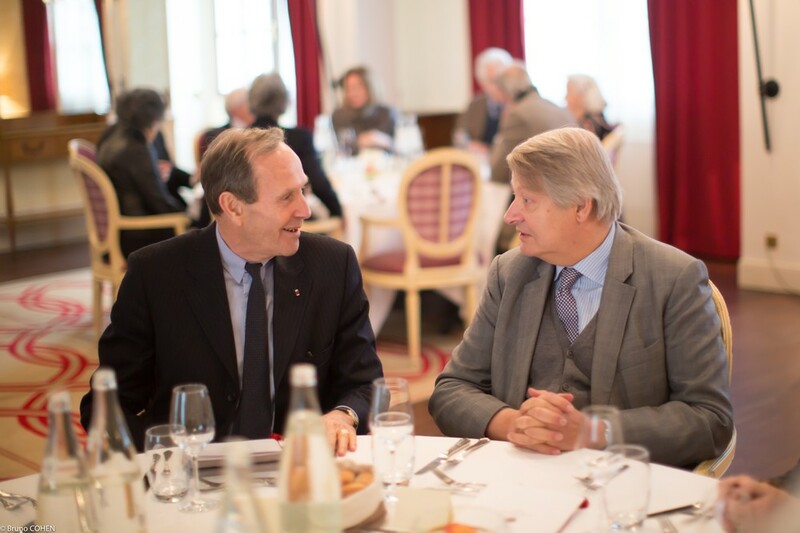 General Jérôme Millet and Daniel Thierry. Hinrich Sieveking, Luis Monreal, and Alice Goldet. Nathalie Brunel and Eric Gillis. All photographs by © Studio Bruno Cohen.